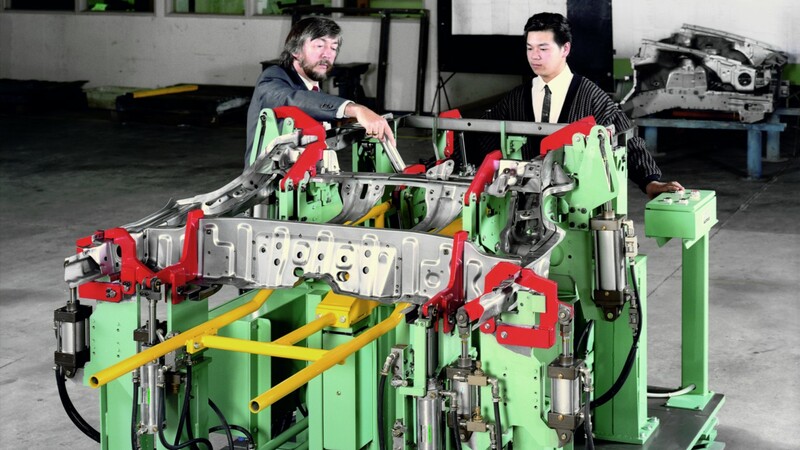 The Body Framing Line depicted here is a three stage automotive body assembly and transfer line. 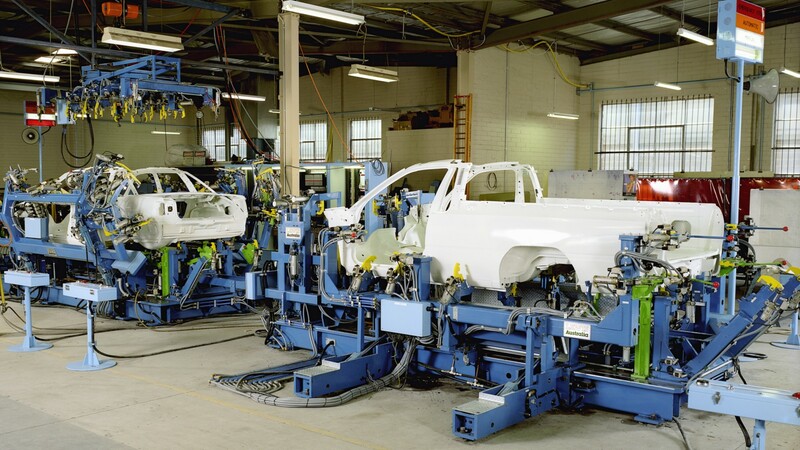 This line manufactures the Holden utility. 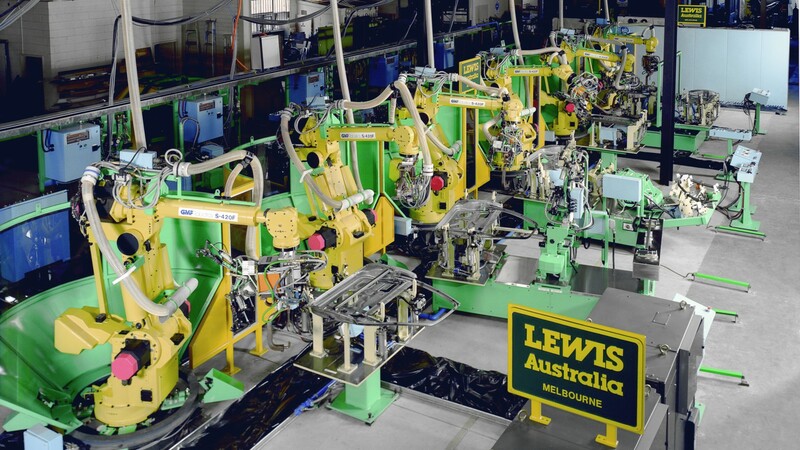 Uses industrial robots to maximise flexibility and precision whilst maintaining short cycle times. 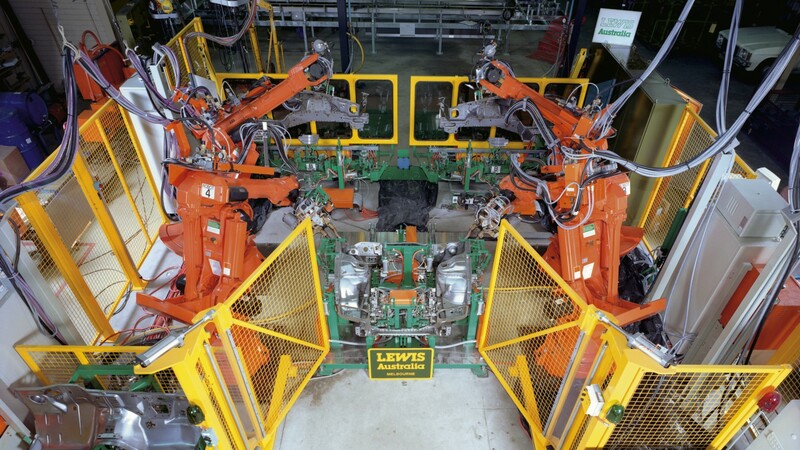 They can be stand alone or an integral part of a complete assembly facility. 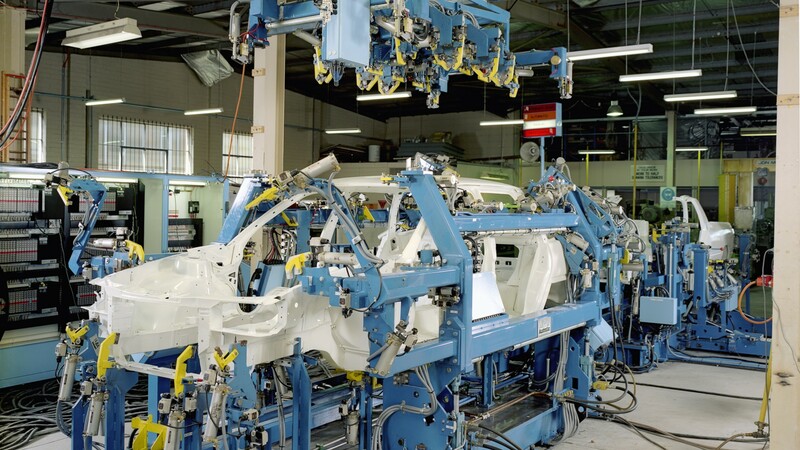 Operators are removed from potentially hazardous environments and consistently high quality products are produced.